You remember Big Pharma. Not long ago we heard a lot about it. This widely used term was once coined about the largest drug companies, often with the biggest direct-to-consumer advertising budgets, malpractice suits, lobbying budgets, fines, political influence and of course, sizable profits. When it was newsworthy to talk about it, the Big Pharma image was tarnished by too much negative media attention. And so the industry works harder at maintaining a low-key profile as it continues with business as usual. Big Pharma spends money on public relations and marketing -- $21 billion anticipated in 2016 alone. Now we have Big Tech – by comparison to Big Pharma, a group of total amateurs at managing their images. Sometimes known as FANG – Facebook, Apple, Netflix, and Google, one could add Amazon and Twitter and call them Fang-and-Friends. The media loves these companies – rarely does a day go by without an update on the wonder and sheer awesomeness of their new products or features. Is the Future of Smartphones here (iPhone X)? Perhaps there is no such thing as bad publicity for the Fang-and-Friends companies. But what if every other software update reveals incompetence or carelessness in the company? Maybe that carelessness resulted in the autocorrection of the ‘I’ in iPhone X. Or Google coughs up the wrong answer in its search and no quality control group noticed? It is possible for these firms to shoot themselves in their feet day after day – and yet still be beloved by investors? Yup. But consumers are rightfully concerned about Big Tech. Consider the Social Media gang -- mostly Facebook according to Pew, but also Twitter, Instagram, Snap. Consider Twitter’s uh, high profile bloopers that make the phrase ‘damage control’ seem a bit lame. Pew: "Only 4% of web-using adults have a lot of trust in the information they find on social media." No wonder, with Mark Zuckerberg touring Puerto Rico post-hurricane damage as an avatar in a Virtual Reality hangout. And each newly revealed Big Tech trust violation tops the previous. Today’s example: Android phones are tracked by Google even when location services are off. Oops, sorry, that little privacy problem will be ‘fixed’ in November. And Chrome will stop auto-playing videos in 2018. Sort of. And the iOS upgrade that put the “i” back into “iPhone” took six days following the release of the iPhone X. Do you find it a bit odd that no one at Apple mistyped ‘iPhone’ and saw the bug prior to the fan boy-and-girl lineup outside stores? Imagine if the real Big Tech companies released tech updates with so little care. Think about Big Tech firms that aren't tweet-bait. 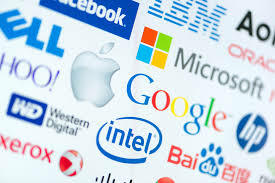 These companies provide much of the the technology backbone of the country – for example: Cisco, IBM, Intel, Verizon, HP, Microsoft, Dell, Oracle, and AT&T. Sure, mistakes are made. Sure, bad publicity happens. But not the stupid publicity as Fang-and-Friends invite -- highlighting poor release management, misinformation in so-called 'News Feeds', plus widespread ageism and sexism. Top off the tech mishaps with immature executive behavior like Zuckerberg's, Amazon Studios, or that other long-time paragon of arrogance, Uber. And so whatever the mistake or mismanagement moment, these so-called executives express regrets, issue apologies, and briefly change a process. Like hiring thousands to review videos and weed through ads. Magnets for misinformation -- the Fang-and-Friends online sites are not places to find vetted and trustworthy content. And it is a shame.